Sega Republic, Dubai shut down? Recently, I was searching around the internet and I realised Sega Republic, the last of the Sega theme parks outside of Japan, may be gone. This is what the official website tells me. I've hit them an email to see if there are plans to re-open under the Sega name. But considering the fate of the other Sega Worlds, I wouldn't be surprised if this one would be shut down for permanent. Likewise, the Sega Republic listing on the Dubai Mall website is no longer there, and Emaar Entertainment's website no longer lists Sega Republic as well. So, it's gone for good? Raising a few eyebrows for me. If anyone knows more about this that would be gladly appreciated, as I can find next to nothing on the internet. 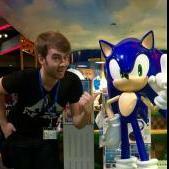 Looks like the only place to go to a Sega theme park will be Japan or China. Facebook page has gone too, they were posting just the other day too. It's definitely gone, there are employees posting goodbyes on Instagram. Edit: Their twitter page has also been completely pulled. Got an email from Emaar this morning. Looks like Sega Republic in its current form is gone, I was not told if the new attraction will use the Sega IP or not. Not a surprise. SEGA really isn't meant to be in the amusement park business. Props to them for keeping the Joypolis locations open as long as they did, but even those have been sold off to other companies. Hopefully getting out of the direct amusement park business will encourage licensing them to other amusement parks with better luck. Hopefully not Disney, however... once you fall into Disney's orbit, the only way to go is down to the surface, where your company is consumed completely. Sega Republic was not like the ones they had in London and Sydney, in that it was actually doing well. I went to the park last year on a stopover to London and it was quite crowded, I had to wait an hour for the Spin Gear rollercoaster. The nature of Dubai, is that space is premium over there, and even a small fluctuation in revenue can make or break a company. It is not common for businesses there to have short lifespans while still making profit. 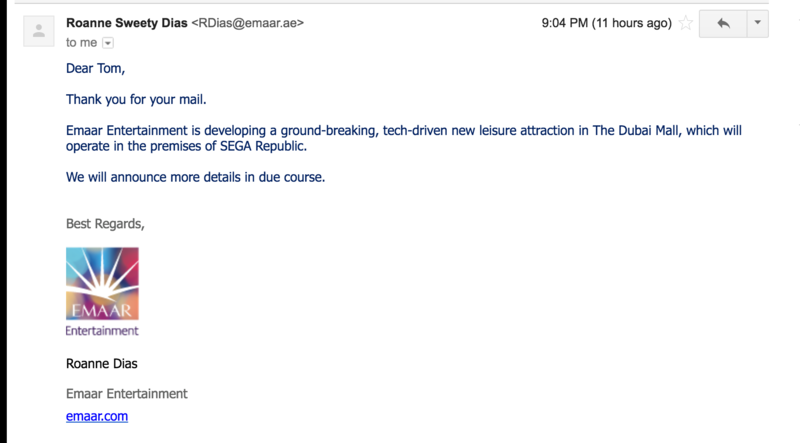 It would also be good to note that Sega never operated the Dubai theme park directly, instead another company, Emaar Entertainment paid for the rights to use the Sonic brand in its parks. Sega Live Creation, that operates Joypolis locations is now majority owned by a Hong Kong firm, and has actually expanded in recent years, into China and possibly South-East Asia. This supplements my point. They should not operate any theme park themselves, just let someone else handle it. As for SEGA Republic, I recall Hogfather (I believe it was) saying a few years back that SEGA Republic Dubai had taken advantage of a lucrative tax incentive to plop itself down and make a profit. Once the tax incentive lapsed, the park wouldn't really be viable anymore. Looks like that moment finally came. what could possibly be better than sega republic ????? ?